Our goal is to treat your home like it is our home. 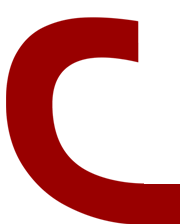 Our mission in having a successful business is to maintain the highest level of professionalism, integrity and honesty. We believe when you are up-front with people, and give them a good quality job, they will remember you, and they will recommend you. The only gutter company in NY licensed in mold assessment! The best way to determine if you need gutters on your home is to inspect your basement. FREE gutter cleaning with purchase of gutter guard system. Thanks so much for the extra help you've given me and the good advice about my gutters. I really appreciate it. Thanks so much for helping us complete our house project. Everything looks great! The gutters look excellent! We are very pleased. I was so impressed that I put in an extra $40 to cover your long commute from Lake George and other incidentals. Take Care! My gutters look terrific! Thank you so much for doing a great job. Your installment of gutters looks great! It's nice to do business with a honest man and a professional. The gutters look very good! I appreciate your work and neatness. Thanks for the great work!. Thanks again for your professionalism and patience. You did an outstanding job and I'm more than happy to recommend you. It is such a pleasure working with someone who is truly a caring human being. You have done a beautiful job and you really treated our homes as if it were your own. Thank you for returning to my second home in Pilot Knob, Lake George to clean the gutters. Again, you have done a great job! Thank you very much for the great job on the gutters. It's nice to see the water going in the correct direction for a change. Thank you so much for the great job you did installing my seamless gutters. I am so pleased with how they match my house. I have had several people remark about how neatly they were installed. Again, thank you for everything. I will be sure to recommend you to my friends. Thank you for the prompt and courteous service. The gutter installation was excellent and your professionalism was sincerely appreciated. Having you install and maintain my gutters has given me an experience which has been very positive. You have provided professional service with on time scheduling and within the quoted cost. 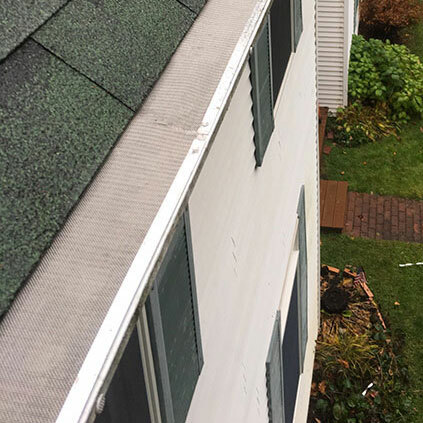 I have, and continue to recommend C&C Seamless Gutters to anyone seeking quality, dependable gutter work in a cost effective manner. Look forward in seeing you in the spring for my annual gutter cleaning. You did a great job with my new installation of gutters on my home. It is hard to find the professionalism and quality of service that you provided me. I will always recommend you to anyone who appreciates professional service. 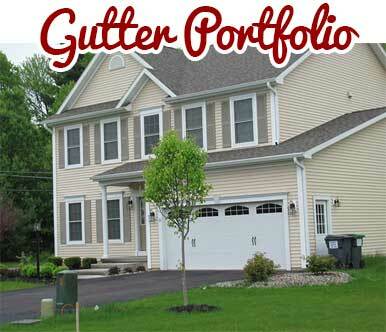 C&C Seamless Gutters is the leading seamless gutter company in the Upstate New York area. 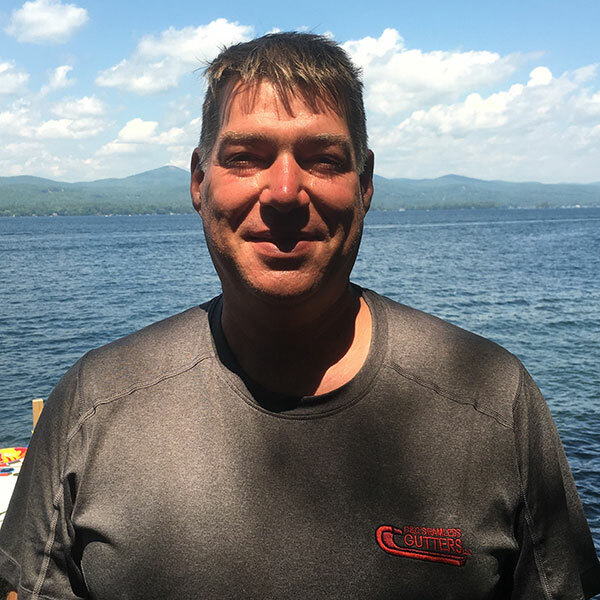 We service Albany, Scotia, Troy, Clifton Park, Saratoga, Glens Falls, Queensbury, Lake George and the surrounding areas up to Lake Placid, offering professional service to clients with needs of designing, installing and maintaining seamless gutters systems. 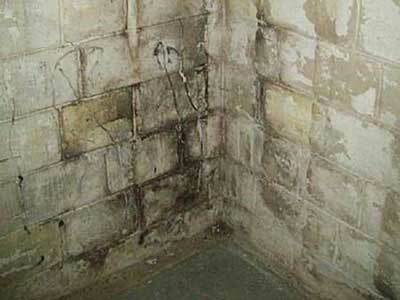 We are the only gutter company in NY that is a licensed mold assessor and remediator! Why should I use C&C Seamless Gutters? C & C Seamless Gutters has an established reputation for honesty, and believes in not spending the customer's money when it is not necessary. We have been in the gutter installation business for over 25 years. See more on why you should choose C&C Seamless Gutters.